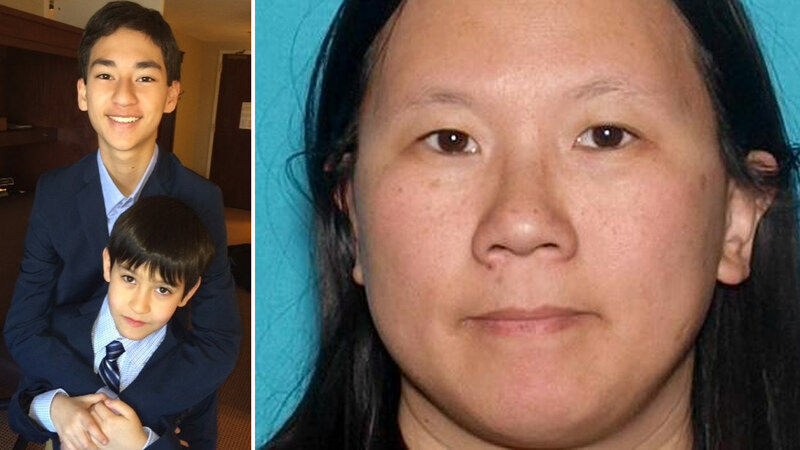 LAKEWOOD, Calif. -- A search is underway for two missing boys who detectives believe were abducted by their mother. Sage Cook, 15, and his brother Isaac Cook, 9, came to California to visit their mother Faye Ku. The boys live in Washington state with their father, who has had full custody since the couple divorced in 2009. Investigators say Ku gave her ex-husband what appeared to be a "supervised visit" court order. Thinking it was legitimate, he sent the boys to Lakewood to visit her. Ku and the boys were last seen at Los Angeles International Airport on Friday, Aug. 28. Sheriff's detectives said Ku purposely left behind personal items at her home that would prevent law enforcement from tracking her whereabouts. In a prepared letter, Ku blamed her ex-husband for trying to control her and her children and asked him to leave them alone. Ku also has a 2-year-old son, Zephyr Ku, who could also be traveling with them. The toddler is Sage and Isaac's half brother. Sheriff's officials said Ku has attempted to leave the country with the two boys once before in June. According to legal documents, they were detained by local law enforcement before boarding a flight to Taiwan. Ku was arrested and charged with custodial interference. Investigators said Ku has several contacts in California, New Mexico, Texas and Tijuana, Mexico. Ku, 41, is of Chinese descent, 5 feet 3 inches tall, weighs 180 pounds and has black hair and black eyes. If you have information on this case, call Crime Stoppers at (800) 222-TIPS or text TIPLA plus your tip to CRIMES (274637) or visit http://lacrimestoppers.org.